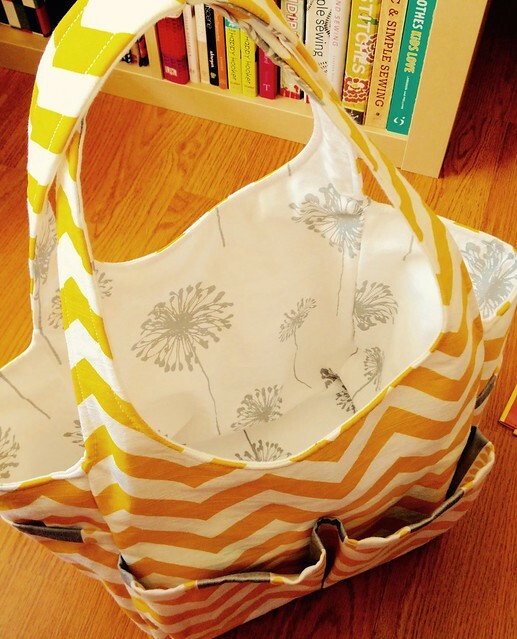 Since my little one is no longer in diapers, there’s really no need to lug around a huge diaper bag. 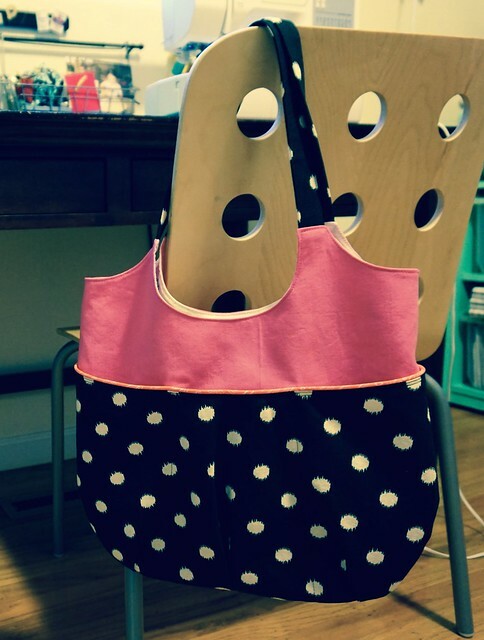 I did love the diaper bag I made, but it was time to retire it. 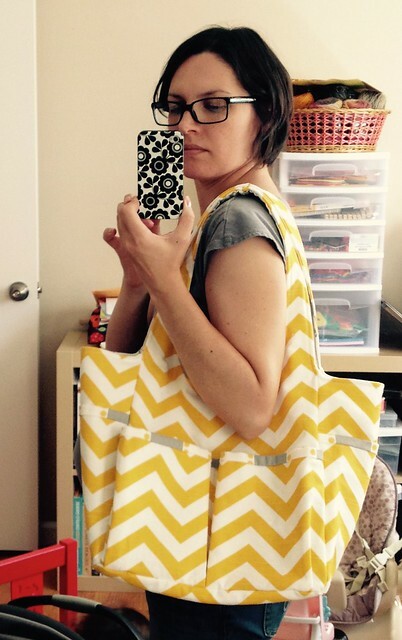 Since I made it before this blog, let’s revisit that amazing bag shall we? If you look close enough, you can just see my little one still in my belly! It was actually tough looking at these pictures because it was during a pretty rough time. Interesting reading what he said after a couple of years though. It was a lot more recovery time and rehab than he thought! Anyway, back to the diaper bag, and look at all that room! 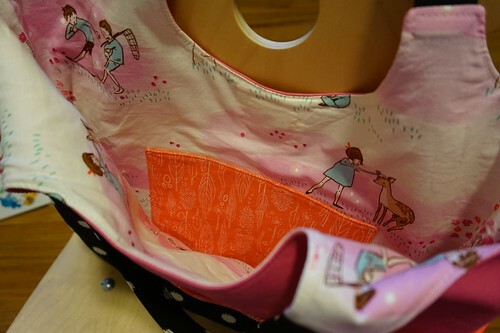 This was an AWESOME diaper bag I discovered in Sew It All magazine. 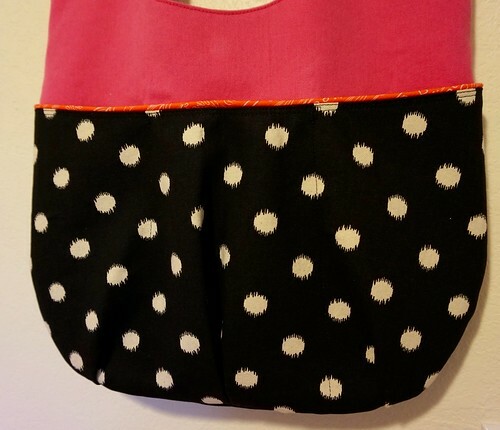 I really recommend it to anyone looking to sew their own diaper bag. I used duck cloth for the inside and home decor weight for the outside. The pockets and size are great, and it didn’t slide off of my shoulder at all. I carried a household in that bag! Back to being faced with a new bag decision…you all know my love for Noodle-head patterns, so naturally it had to be one of her bags. It actually took me months to figure out which one to make, so I bought like 5 of her patterns and decided to make them all! Well eventually, but this time I made the Go Anywhere Bag. I just love this version Anna Graham made awhile back so much that I had no choice really. I figure it kind of fits the whole diaper bag-goes-smaller approach I was looking for, with lots of easy to get to pockets for keys and water bottles, and of course my phone. Since I’m trying to stash bust, I selected fabrics that I already had. 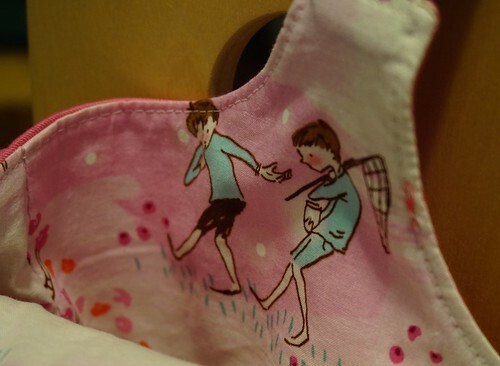 The canvas for the outside pockets is a pretty heavy fabric, the pink is a medium weight fabric, and the pocket lining and inside lining is Petal from the Wee Wander Woods collection by Sarah Jane for Michael Miller. 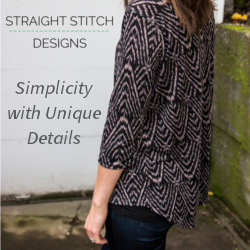 I love this fabric collection! 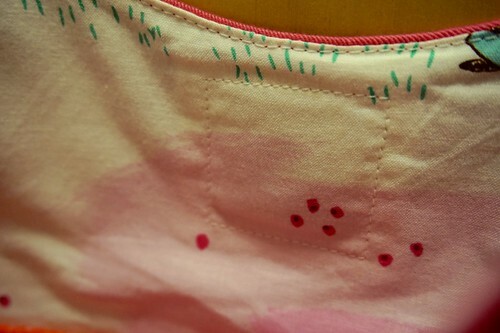 I also used Coral for the piping and inside pocket from the Wee Wander Nature Walk collection. I’m using this fabric for a future quilt, so I figured why not use the scraps here. This bag was very simple to assemble, and I finally learned how to install an invisible magnetic snap. I was originally going to use a regular ol’ magnetic snap, but why not go that extra mile huh? I ordered this one. Quite simple to install actually, but the lining fabric was so thin that I added another layer of fabric between the magnet and the lining just to increase the strength of the stitches. The magnet’s attraction is very strong, but it wasn’t difficult to sew even when they were attracting to my machine’s plate. 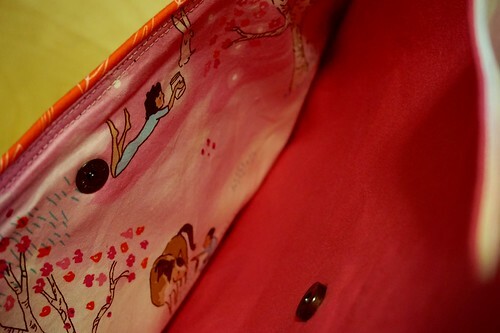 The magnetic snap on the outside large pocket I super reinforced. I’m not crazy about the way it turned out, mostly because I was trying to get it done quickly and didn’t cut down the fusible fleece under the snap, so you can see the whole scrappy cut in the outline it leaves! Oh well, it’s mostly closed anyway. I LOVE the three pockets on the outside front of the bag though. These fit my keys and phone perfectly, and they’re always easy to get to. This is a big deal for me because I almost always can’t find my keys, and it ends up becoming this big hunt in my bag or car or house trying to find them. This definitely helps when we’re in a hurry, and I feel like I’m herding cats whilst packing a donkey. I’ve been using the bag for a couple of weeks, and I’m very happy with it. It fits a lot of stuff, like my necessities and some kids things like simple art supplies, change of clothes for the little one, tissues, and snacks. I’m really happy with it overall, and it suits my needs right now. Just the right size! Are you making any bags for the upcoming season? You know how we need to change our bags each season, or life change, or just because we have a great piece of fabric! I have some Swoon bags in mind actually, like the Bonnie Bucket Bag and the Donna Vintage Handbag. Oh if only I didn’t need sleep!